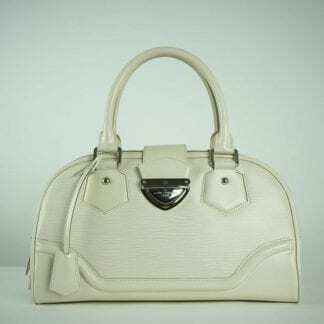 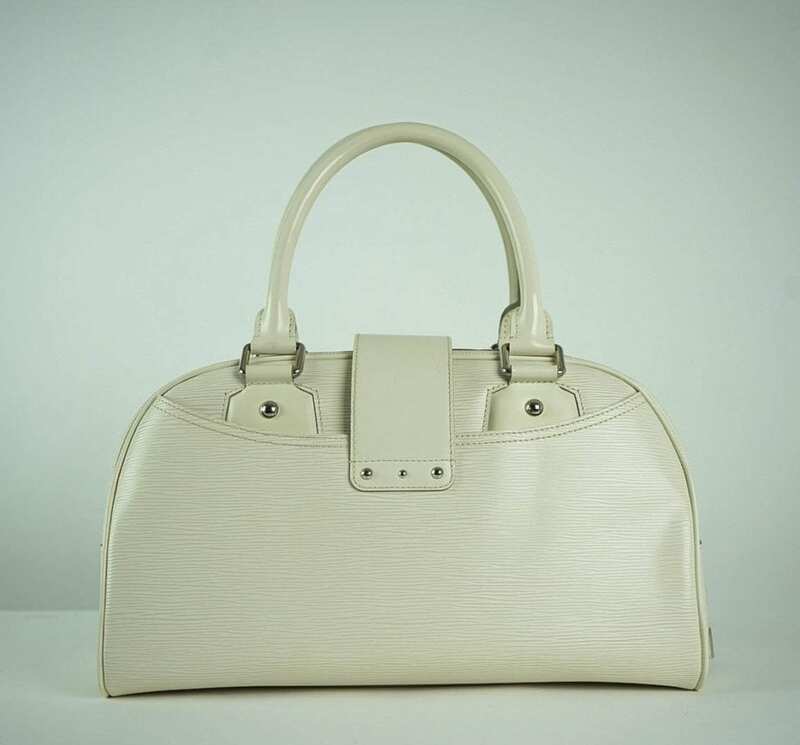 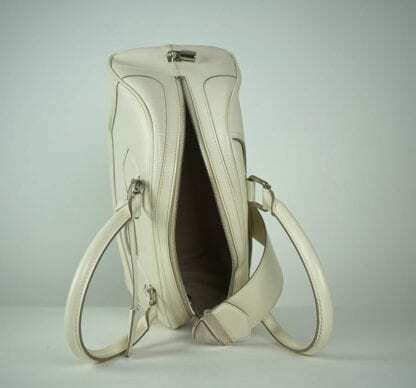 LOUIS VUITTON® White Epi Bowler Bag. a buckle flap closure at top front, and zipper closure at top. 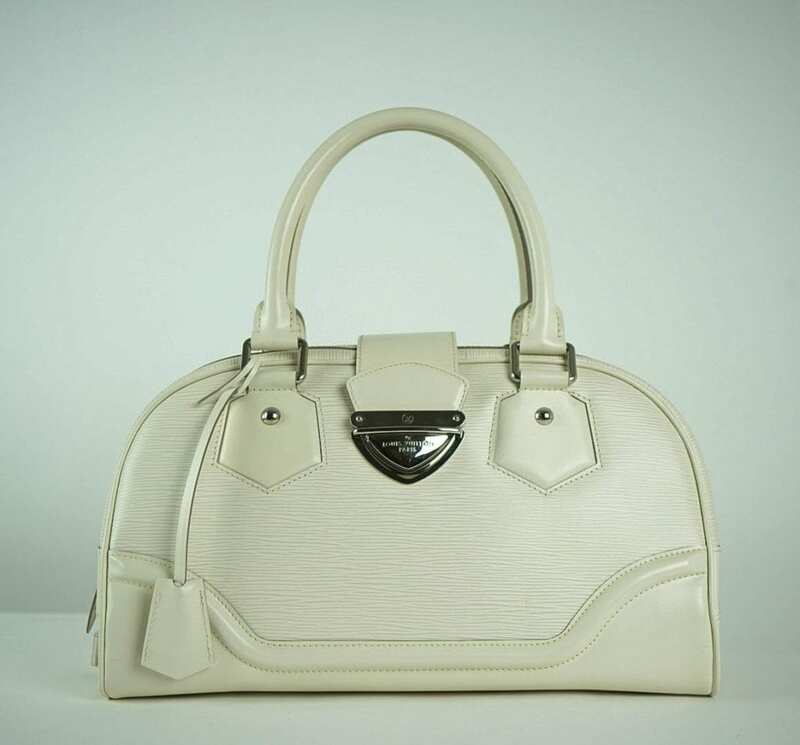 Interior is beige with a two patches and Louis Vuitton® patchwork.